Kendrick Lamar has given one of his most loyal fans a life-changing gift, which means she’ll be able to ‘drive to his next show’. The rapper is currently on his Damn Tour, and during the Dallas stop he took the time to meet a quadriplegic woman named Jennifer Phillips, who has been in a wheelchair since she was involved in a car accident in 2007. Jennifer, has since gone on to receive her college degree, she has taken ski trips and been to eight Kendrick shows, according to Complex, she said the ‘only thing’ holding her back was a specially adapted van… until now, that is. So @msj3nn has been around from day 1 supporting the homies in everything they've ever done. Today we changed her life the way she has changed ours and so many others. We no longer have to worry about that gofundme link in my bio because SHE'S GETTING A NEW MODIFIED VAN COURTESY OF KENDRICK AND TDE. WE LOVE YOU SO MUCH, JENN. Here's a video of me losing my cool before getting her real reaction lol. DAMN. That’s right, Kendrick is paying for a specially-modified van just for Jennifer. 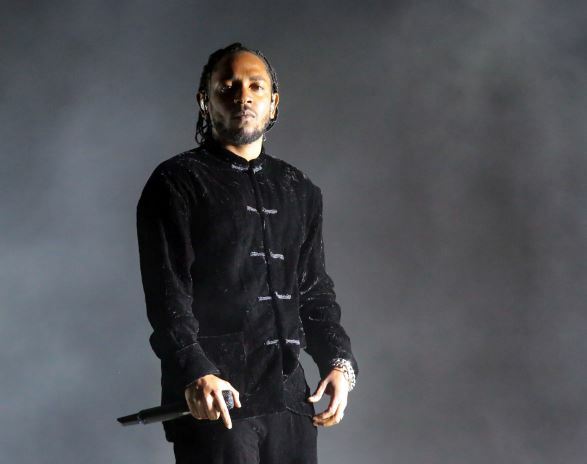 It comes after Jennifer started a GoFundMe page to raise money for a van that would make travelling a lot easier, but thanks to the generosity of Kendrick, the page is no longer active. So about last night… lol. If you know me or even just look in my Instagram profile for two minutes then you know I am a huge Kendrick Lamar and TDE fan/supporter for YEARS. I’ve been to every show Kendrick has had in Dallas including the first one that even he forgot about lol and one in Austin. That’s 8 shows and not including the other TDE artists shows. I was a big fan of music and concerts before my injury but I never supported and loved a label like theirs before. Of course they have great music but they are also great people. None of them have ever treated me like a stranger or a charity case lol. I didn’t meet them because I’m in a wheelchair. I just know great people (shout out to @bluethegreat for the initial in person introduction to Dot & Q). I never supported them for any benefits like this lol. Their music and shows were enough for me. But this is amazing and I thank you from the bottom of my heart. I love you all and always will. Thank God for you Kendrick and I will continue to pray for you.